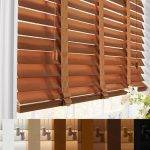 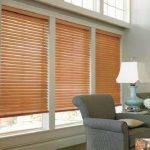 Blinds 2 Inch/2.5 Inch Basswood » Window covering - Shutters - Blinds | AE BLINDS & SHUTTERS, INC.
Basswood horizontal blinds are distinguished by their elegant beauty. 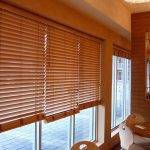 These products are milled from 100% basswood and are cut from the vertical grain, ensuring superior stability. 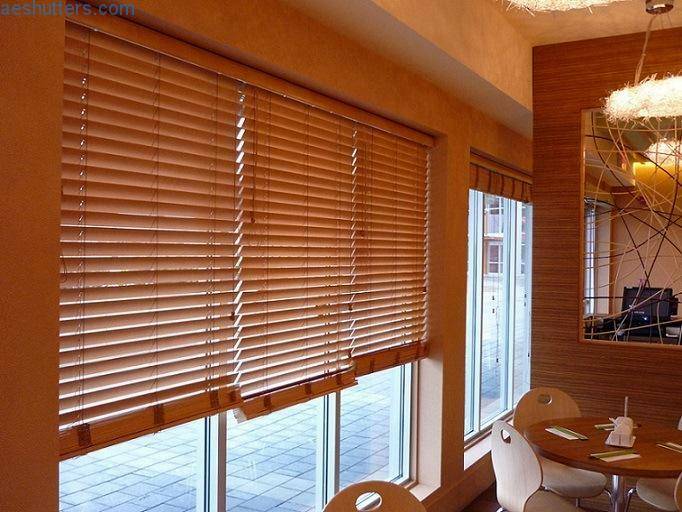 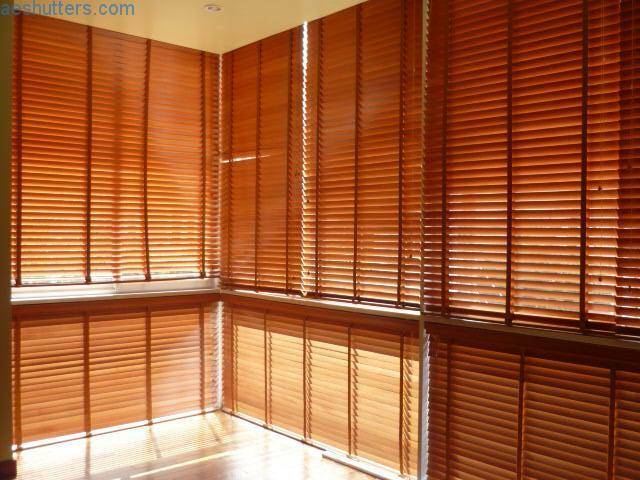 Basswood horizontal blinds are produced with the highest quality metal and polycarbonate components. 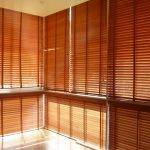 Additionally, Basswood horizontal blinds are built on a roll-formed, heavy-duty steel headrail, which further increases the strength and stability of the product. 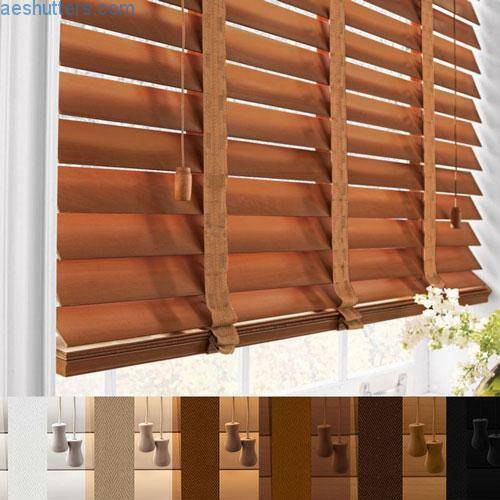 The operating components are secured inside the headrail by means of snap-in fittings. 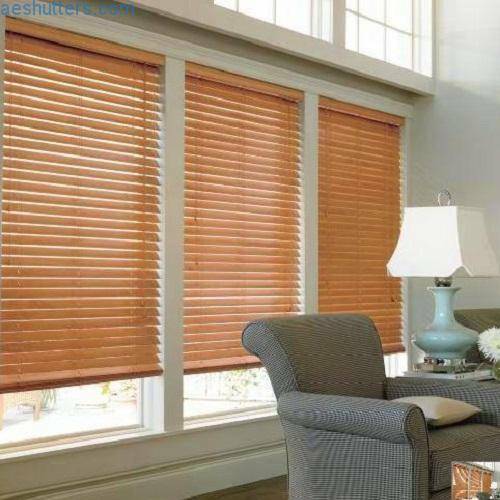 The cord lock incorporates a stainless steel wear guard and has a crash-resistant safety feature that locks the blind automatically once the lift cords are released. 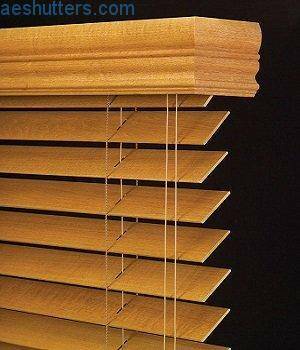 To provide smooth operation and tight slat closure, the cord tilter utilizes a steel gear housing, while the wand tilter option incorporates heavy duty components ensuring longevity.